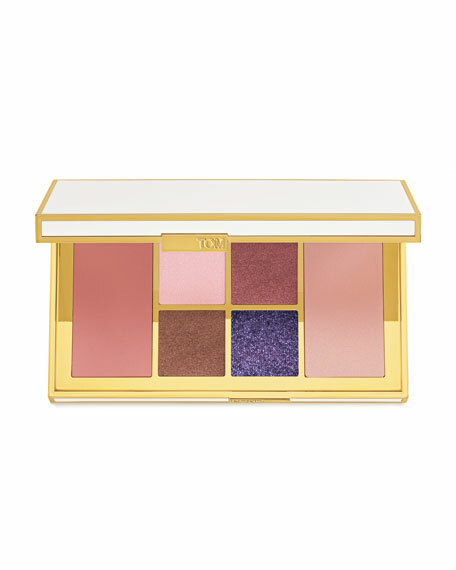 The ultimate Tom Ford Soleil accessorya reflective ivory-and-gold-colored clutch contains a color palette for eyes and cheeks to create an array of luxurious looks. Each feature four eye shadows, highlighter and blush in two color waves; sultry, bronzed warmth and sweet, incandescent cool. For in-store inquiries, use sku #2021195.